How’d you sleep last night? Did you get a peaceful eight hours or were you tossing and turning? Do you have sleep problems on a regular basis? If you answered yes to any of these questions, then your brain is at risk of developing Alzheimer’s disease, according to research findings. Alzheimer’s disease affects over 44 million people worldwide and as the world’s population continues to age, this number is expected to grow. 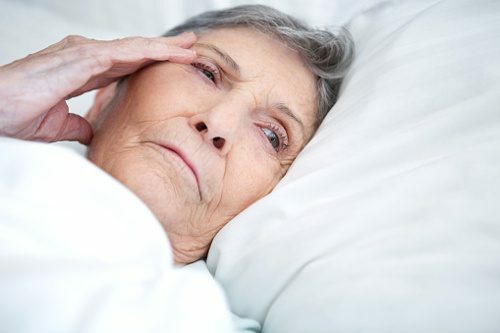 It is known that poor sleep is linked with poor health, and now poor sleep has been connected to mental decline too. Sleep expert Matthew Walker has heavily explored the link between sleep and Alzheimer’s disease and suggests that lack of sleep leads to a build-up of toxic proteins in the brain. These can contribute to Alzheimer’s disease, a weaker immune system, and activates stress chemistry, which leads to poor cardiovascular health. There have been some studies suggesting that naps can offer benefits, but Walker explained that naps should be regular and occur prior to 3 pm. Walker also spoke largely against sleep pills, which do not produce a “naturalistic sleep.” “They’re a class of drugs that we call the sedative hypnotics and sedation is not sleep, so you’re simply removing consciousness,” he added. If you are still struggling to get a good night’s rest after these suggestions, you should speak to your doctor about any underlying health issues that could be keeping you up at night.